Set your mind into getting a compact crossover SUV (Sports Utility Vehicle) that has well designed interior and driving features that will make even the longest trip save a lot thanks to increased fuel efficiency and great affordability in its sleek exterior design and improved driving features. At first glance you will be enamored by the unassuming and conservative aerodynamic shape coupled with a redesigned front fascia and horizontal slat chromed grill, even the front and rear bumpers are redesigned. The interiors will give you increased practicality thanks to features like Bluetooth Hands-free link when you’re on the go, USB Audio interface for connectivity with your MP3 Player, steering wheel mounted controls, one touch power moon roof, and several other passenger features. 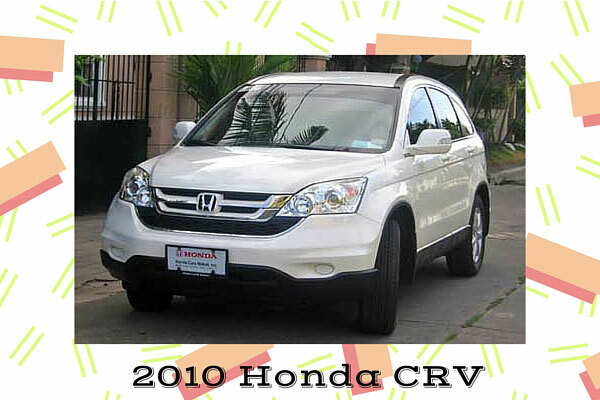 When it comes to driving, this CRV gets an increase in horse power from 166 to 180 and 1 mpg mileage improvement, there’s also the Grade Logic System which spells the end of gear shifting blues when you are on an upward climb or downward drive. Get a load of better 4WD thanks to the MacPherson strut for suspension where every sharp turn will just soak up with smooth ease, now that’s good performance from a Honda CRV when it comes to adverse road conditions. It really shows how a prominent Asian automobile maker increases its standard with regards to developing compact crossover SUVs, now with the 2010 Honda CRV every long drive will be more smooth and relaxing whether it be having a family vacation or leisure driving for the sheer pleasure of it.